Garnier is a veteran of the cosmetics industry and sets with various shampoos, rinses and cures the standards in the field of hair care. 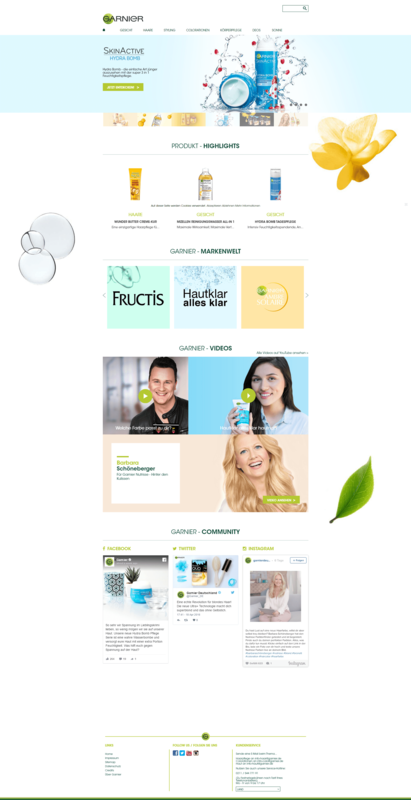 In the cosmetics and care sector, Garnier offers the right product for every skin type. The goal of Garnier is clear: Beauty is in us all and everyone has the power to bring out this beauty! In 2015, ilscipio Garnier supported in purchasing services and provided advice on the implementation of digital projects.